DWP Digital relaunched its Women in Digital group (previously Women in Technology) last week. The agenda covered women's health issues, International Women's Day, our Digital Voices programme and the challenges of attracting women to work in digital roles. In this blog-post 2 of our attendees, Andrea and Lisa, reflect on the event. Being a woman in digital, I decided I’d really like to get involved with our DWP Women in Digital group. But standing in the doorway of the first meeting of 2019 and looking at the room full of women I felt slightly anxious at what was to come and was wondered what I was doing there! But I took a deep breath, walked in, and realised I’d had no reasons to worry. I soon got chatting to a friendly room full of around 50 women of all ages from across the country. "The aim of the group is to develop women in their careers to help us deliver exceptional services. It provides excellent networking and training opportunities that help build confidence and engagement skills. It's something I'm very passionate about and I'm delighted that the group has grown in size and interest." Sue finished by setting us a challenge to think about what we would want to have achieved in 2019 when we come together to reflect in 2020. 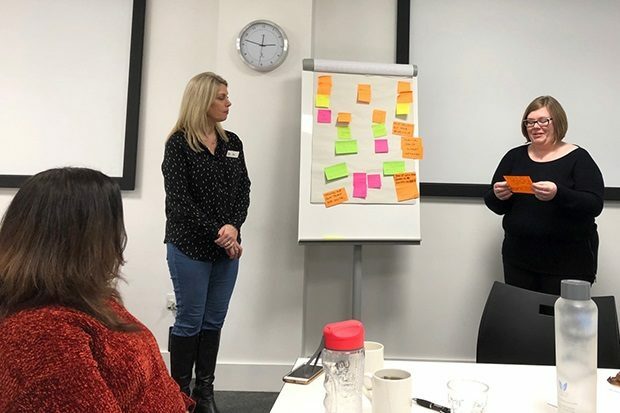 Joanne Rewcastle and Claire Metcalf from the Digital Engagement team, launched the second cohort of Digital Voices, a ground-breaking, five-month programme of activities which helps women to develop their digital skills and knowledge while building confidence. "I'm incredibly proud of our Digital Voices programme and even more so of the fabulous women who have taken part in it so far. The programme has received fantastic feedback and many people are keen to adopt and expand it, under the DWP family and beyond." "It was an amazing experience. It was challenging, emotional and sometimes exhausting - but it was so worthwhile. It's given me self-belief to get promoted and I really encourage people to get involved." "I was already blogging and using digital tools such as Twitter but Digital Voices helped me to focus more on what I wanted to say. With the support of Joanne and her team, I realised that there's always somebody who wants to hear your voice and listen to what you have to say." 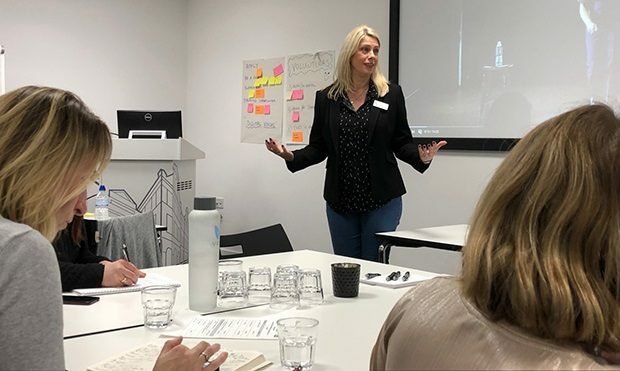 Rachel Poole and Nicola Platts from the Digital Engagement PR & Marketing team spoke about the DWP Digital attraction strategy for recruitment. It’s important that our business represents the community we serve so we’re working hard on the issue of gender parity. They spoke about the importance of positive female role models and the steps we can take as individuals to attract people to want to work with us. It made me think about what I can do on a personal level to showcase my work and the work of our teams using social media and blogs like this one! By becoming advocates we can bring to life what working in DWP Digital is really like. We also spent time talking about what we can do to support and promote International Women’s day and made plans that can be taken forward across our main hub sites - so watch this space. And we had a session discussing women’s health issues – a subject that is often taboo - such as menopause. We finished off by talking about our ideas for 2019. I went away energised and looking forward to helping our Women in Digital group deliver on our objectives in the coming year. You can also find out more about what's happening in DWP Digital by subscribing to this blog, having a look at our LinkedIn page and by following us on Twitter @DWPDigital and @DWPDigitalJobs.